Flood Damage Coverage for Farm and Ranch Owners | The Voss Law Firm, P.C. While all businesses can suffer catastrophic losses due to flooding, not all businesses will have to regrow their inventory from seeds. If ranchers, farmers, and dairy owners are not able to replace acres of lost crops or herds of fully-grown livestock, the family business may be lost in a single weather event. Attorney Bill Voss explores the unique insurance needs of ranchers, farmers, and other agribusiness, allowing them to fill coverage gaps that could lead to bankruptcy. 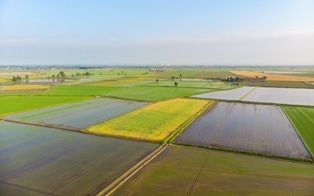 There are a few problems with traditional property damage coverage when it comes to floods on large-scale agricultural operations. Firstly, flood damage resulting from natural disasters is usually not included in private business insurance policies. Business owners will have to purchase a separate policy through the National Flood Insurance Program (NFIP) to get compensation for weather-related flooding. In addition, there may be many special operations on farms and ranches that insurers neglect to cover or fail to correctly calculate their replacement value. There are few things more frustrating than relying on a high-priced insurance policy that refuses to reimburse you because you did not customize your coverage options. Finally, even if owners choose policies that are specifically marketed as farm insurance or ranch insurance, the policy may still contain coverage exclusions. Dwellings, barns, and outbuildings. A farm dwelling may have enhanced value if it also serves as the family home, or is a historic property that serves as a wedding venue. Floods can damage the foundations of all structures, including barns, carports, lean-tos, shelters, bunkhouses, cabins, and detached garages. Farm machinery and equipment. Agricultural machinery may be covered only when the equipment is specifically named in the policy. Milking machines, tractors, combines, planters, irrigation systems, and other specialty equipment should be listed under the policy extension. Livestock. Even if broad livestock coverage is available under a general farm policy, the limits may need to be extended to get coverage for a large loss. There should also be specified categories of reimbursement for a variety of breeds and perils. For example, animals killed in the flood may be covered, but animals who starve because the flood wiped out the herd’s food supply may not. In addition, owners should cover all animals on the property that are used for commercial property—including horses and dogs used in herding or animals in a petting zoo. Fencing. Ranchers may have acres or even miles of fencing along their properties, but fences are typically excluded from standard farm insurance policies. Although ranchers may be able to bear the cost of replacing one or two sections of fencing, they should insure any electric gates or surveillance cameras along the length of the fence. Sewer and drain backup. Flooding that is caused by a backed-up sewer or drain is usually not covered under a homeowners’ or commercial policy. An endorsement may protect against this kind of flooding and prevent a fight with an insurer who wants to dispute the “exact cause” of the loss. Field and row crops. Grain, seeds, and animal feed are usually covered by farm insurance only while they are stored. In order to get payment for feed or grain that was growing on the property, it will have to be added to the crop coverage endorsement. Commercial growers and packers should be sure to identify any and all crops on the property, including vegetables, berries, cotton, sunflower seeds, hay or alfalfa, hops, or fruit trees. Refrigerated property coverage. Dairy farmers should consider an endorsement for the contents of their freezers and refrigerators due to power outage or mechanical failure, as well as coverage for the loss of the refrigeration units themselves. Insurers may also offer an endorsement for milk contamination and leakage. Business income. Loss of farm income and extra expense coverage can be extremely useful during the rebuilding and recovering process, while seasonal business insurance may contain losses to a single event and keep operations on track for the following year.